If you are interested in Arizona railroad jobs you most likely will hire on with a large Class I system, unless you are lucky enough to find a position with a small short line. The state's Class I railroads include BNSF Railway and Union Pacific while Amtrak (the nation's passenger rail network) also operates through the state (on two different routes, the ex-Santa Fe and Southern Pacific main lines). Unfortunately, Arizona is home to just a few shortlines so the chances of hiring on with one are fairly slim. One particular point which needs to be addressed if you have both never worked in the railroad industry or know much about it. Quite likely most here looking for positions are interested in either the transportation or maintenance fields, in other words out in the field along the tracks. By its very nature railroading can be very tough and dangerous work as it is said today's safety rulebooks were written in blood by those who have lost their lives while on the job. What's more is the long hours and constant fatigue railroaders face. This is in no way meant to scare or turn you away from a potential career in the industry, simply to be aware of the dangers and hardship railroaders face. Also, if you are interested in the management side of railroading, most Class Is offer graduate or internship programs for college students. Please let me state that over the years I have received numerous e-mails concerning railroad employment. Unfortunately, there is not a lot I can do to help in this area. You will need to contact the individual railroad to see about job openings (Genesee & Wyoming, Watco, and Patriot Rail requests that all potential job seekers visit the employment page at their respective websites). While addresses are often included here for many companies, I cannot fully guarantee that the information is completely up-to-date or accurate (please research, yourself, to be sure). Finally, if you do hire on with a Class I railroad in the maintenance or transportation fields please understand that you will be placed wherever they may need you, not necessarily where you live or may want to work. Apache Railway: The historic Apache Railway has been in service since 1917 connecting McNary to Holbrook, Arizona via Snowflake. Since then the line has been cutback to Snowflake operating about 38 miles. The system is currently owned by The Snowflake Community Foundation. The railroad's last known address was; 4764 Arizona Highway 277, Snowflake, Arizona 85937. Arizona & California Railroad: This short line has a history that dates back to the Arizona & California Railway, which first opened for service in 1907. It was acquired by the Santa Fe and operated as a branch for many years. In 1991 it became an independent short line known as the Arizona & California. In 2002 it was acquired by RailAmerica, itself purchased by Genesee & Wyoming in 2012. Arizona Central Railroad: This short line is owned by the Western Group, which operates a small collection of short lines in the West. It currently operates about 38 miles of trackage between Drake and Clarkdale, formerly owned by the Santa Fe until 1989. It handles primarily inbound coal and outbound cement. The property also operates the popular excursion known as the Verde Canyon Railway. For more information regarding possible job openings please visit the Western Group's website. 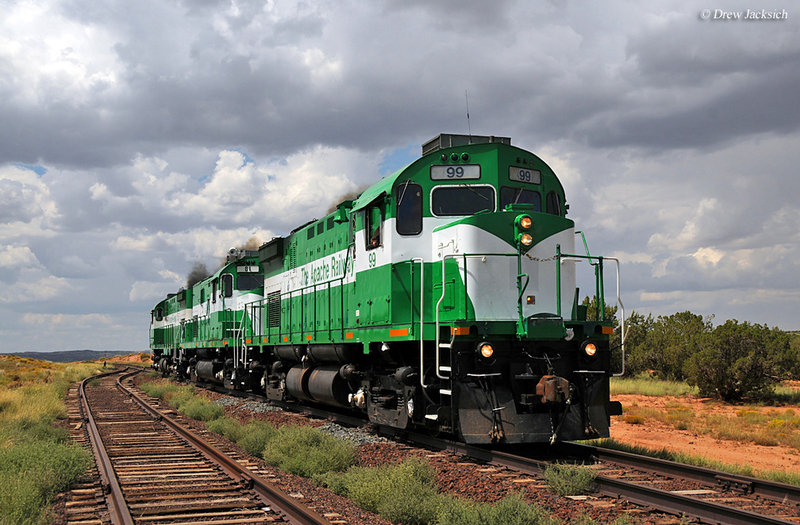 Arizona Eastern Railway: The Arizona Eastern is a large operation utilizing more than 200 miles of trackage between Clifton and Miami, Arizona. For more many years the property was owned by Southern Pacific before spun-off to RA in 2001. In 2004 it was sold to Permian Basin Railways, which subsequently sold it to Genesee & Wyoming in 2011. Black Mesa & Lake Powell Railroad: This privately-owned railroad is operated by the Peabody Energy specifically to haul coal from the Kayenta Mine near Kayenta, Arizona to the Navajo Generating Station power plant at Page. It has been in service since 1973 is about 78 miles in length although the trackage is not connected to the national rail network. To learn about any job openings please visit Peabody's website. 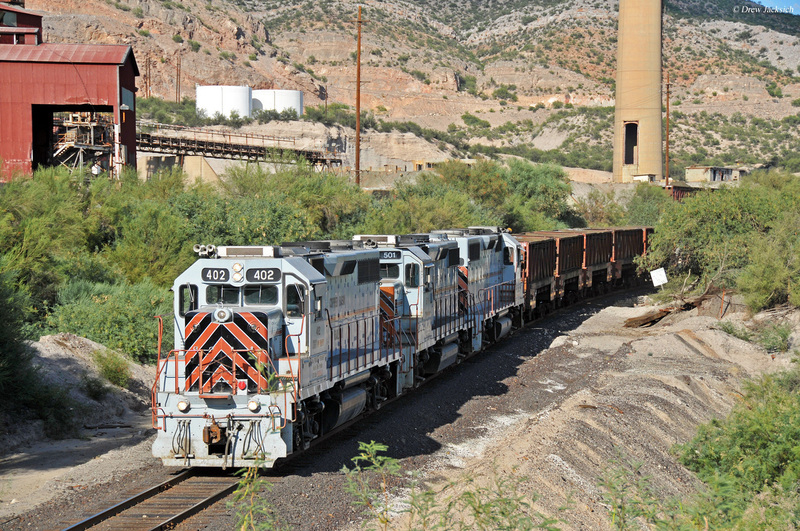 Copper Basin Railway: This independent short line, a division of ASARCO, has been in service since 1986 when it acquired the SP's former branch running between Magma, just east of Phoenix, to Winkelman, Arizona. The line is more than 70 miles in length and serves the local copper industry. For potential employment opportunities please visit ASARCO's website. 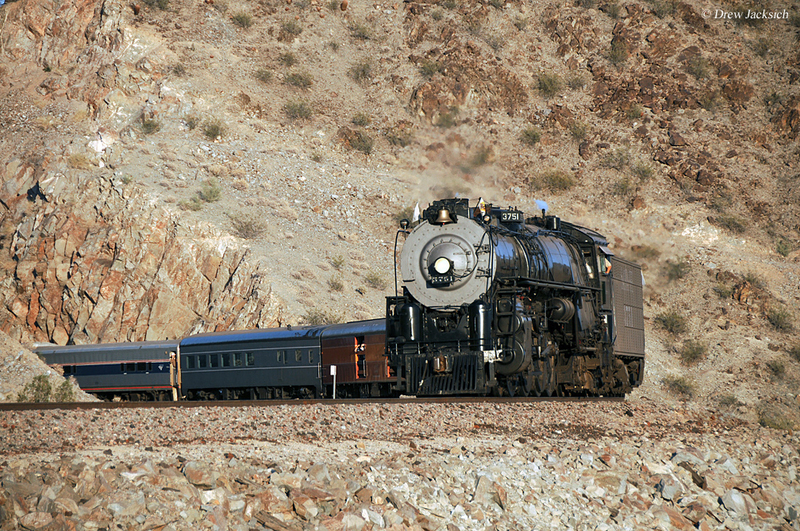 San Manuel Arizona Railroad: This long-dormant short line since 2003 may soon be reactivated. It first began service in 1955 serving the local copper industry and efforts are underway by Capstone Mining Corporation reactivate nearly 30 miles of property to continue serving copper interests. San Pedro Southwestern Railroad: This short line is independently owned running operating about 7 remaining miles between Benson and Curtiss, Arizona that was for many years a much more substantial line under the direction of El Paso & Southwestern (later SP). It is a division of ARG Transportation Services and asks potential applicants to visit their website regarding employment opportunities.